Friedrich Grützmacher was a German cellist who lived from 1832-1903. His adaptation of Zug zum Münster (Procession to the Cathedral) from the second Act fourth scene in Wagner's opera Lohengrin is a highly successful representation of Wagner's intense musical language. 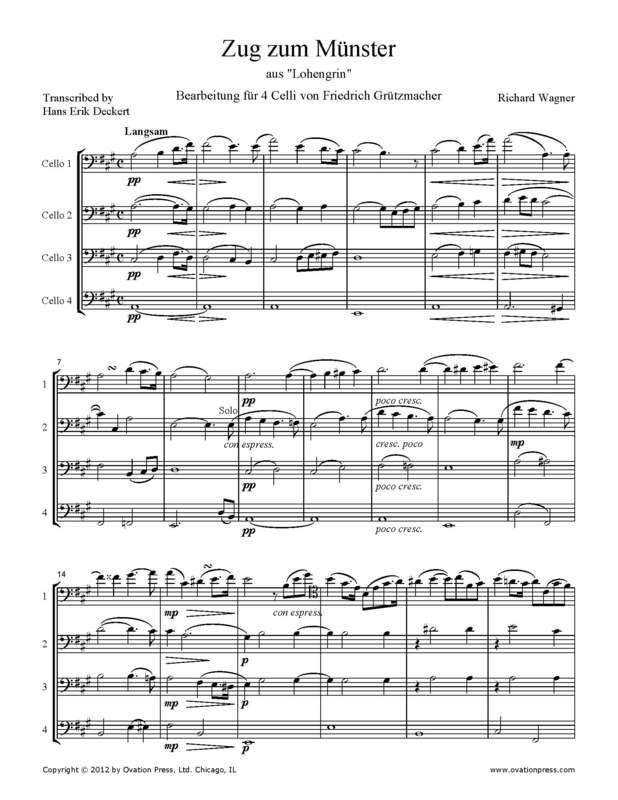 Here an authentic Wagnerian mood is created by just four cellos! This arrangement is even more effective using 3 cellos on each part.